If You Build It, He Will Come! 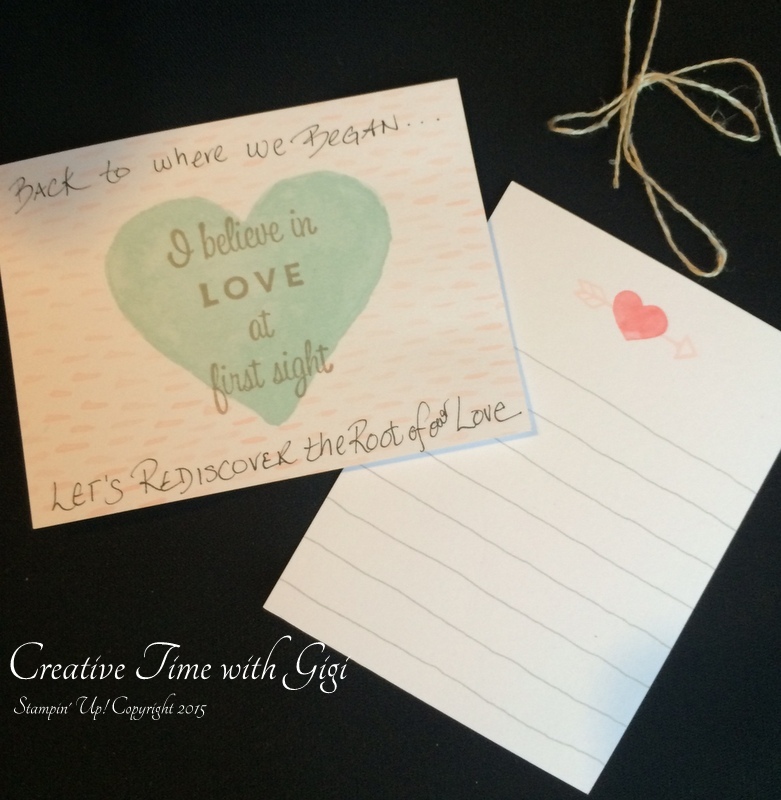 Welcome to Our Valentine’s Day Blog Hop. I have been having a great time working on my project. You will find so many fun and creative projects on this Hop. 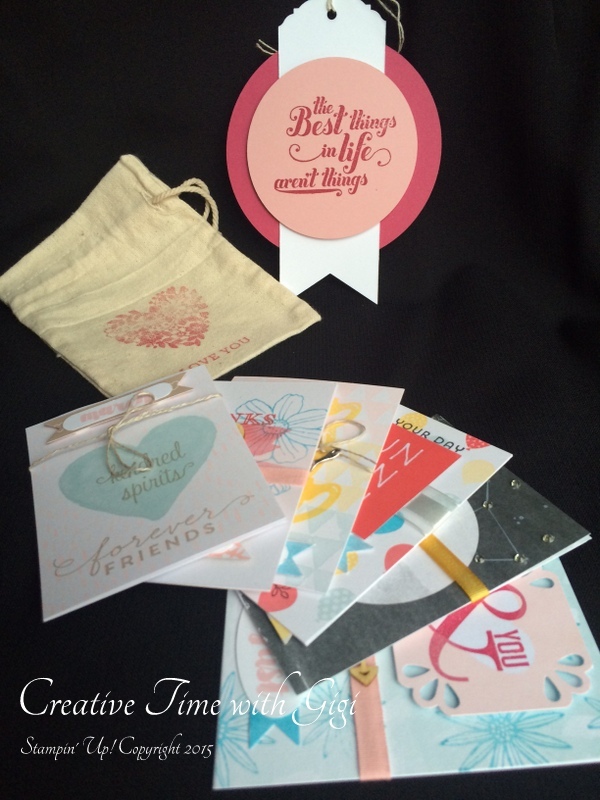 You may have come from Linda Cullen’s Crafty Stampin’ (before me) or Pam Nichols of Just Dreamin’ Stamps (after me). So tuck yourself in with a cozy blanket and enjoy the amazing creativity, especially if you are living on the eastern seaboard with the blizzard howling all around. Enjoy! So now to my project….. I really had fun with this project. I decided to “Go Rogue” and start with the Project Life Memories in the Making Card Collection and Accessory Pack. I decided to create a Valentines gift that lasts the whole year. I’m sure you have seen all those coupons that pledge your dying devotion by promising to do this or that upon request. Well using the wonderfully designed Card Collection of Project Life I created a whole year of activities you can do together. The Project Life Accessory Pack added wonderful details to each design. For inspiration I went through my stamp collection and planned each destination. 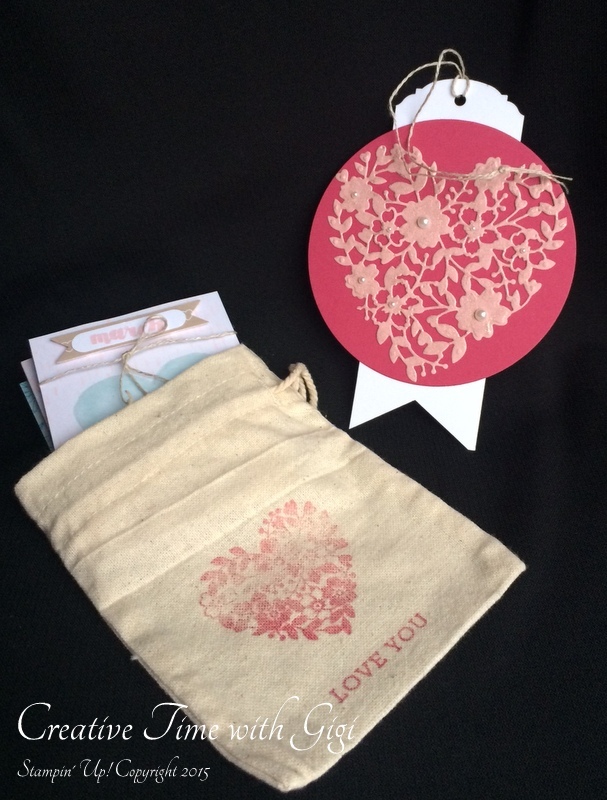 Each card set is designed to go with a month starting with March (the 1st month after Valentine’s Day). 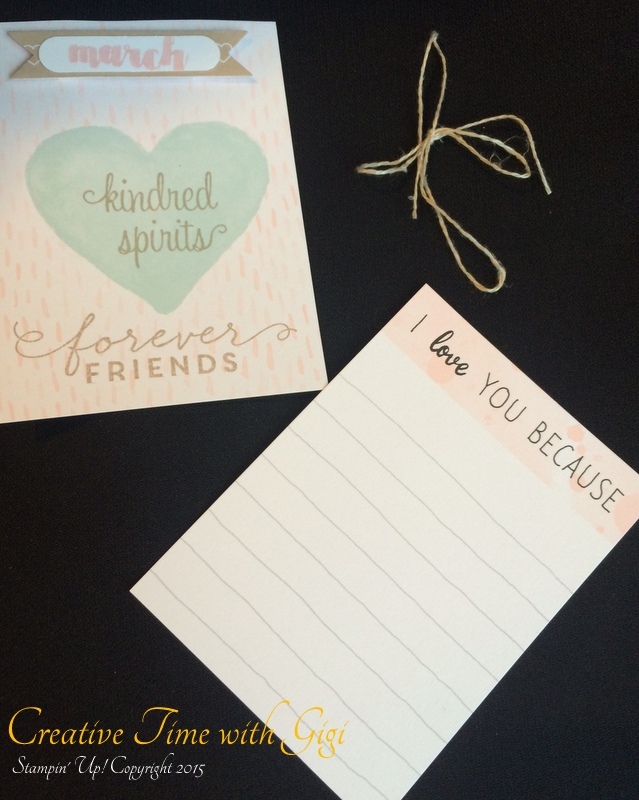 It includes an activity for the month and a journal card in order to capture some of your special moments. NOTE: All the ‘month’ stamps I used for this project came from December 2015’s Paper Pumpkin. (Yes the one in the prize drawing). An amazing part of Paper Pumpkin is the exclusive stamp sets that you can use over and over again. Often times you also have left over paper and supplies you can use for new projects as well. When the day has come to an end, Project Life has a way to preserve these memories. As you go through the year, collect the memories and print out some of those selfies. The Project Life 6″x 8″ Album is a beautiful way to preserve your memories from your year together. More importantly: I couldn’t take a picture of all 12 months with out losing tons of detail, so I showed the first 6 months in today’s blog. Every day this week I will post with some close ups of 2 months and all my tips and tricks to build your own Year of Romance. Don’t forget to comment below in order to be entered for the Prize Drawing on February 1oth. Make sure to put in the #stampitcontest. Tomorrow I will post details of the first two months. Love the Paper Pumpkin kits. So easy and so quick. Everything included that one needs to make cards. I am a huge Paper Pumpkin Fan! I have a Paper Pumpkin Club that meets once a month and all my customers have a great time crafting together! Nice projects – thanks for sharing! Would love to win the PP kit! Nice little collection. Thank you for sharing. #stampitcontest Enjoy doing Project Life with my nieces , that is the time we spend catching up on how fast the babies are growing. Very clever and useful, all at the same time! #stampitcontest A very cute idea, loved it. This is a very sweet idea – love how you used the PL kit. Now that’s thinking outside the box!!! Love what you created!!! 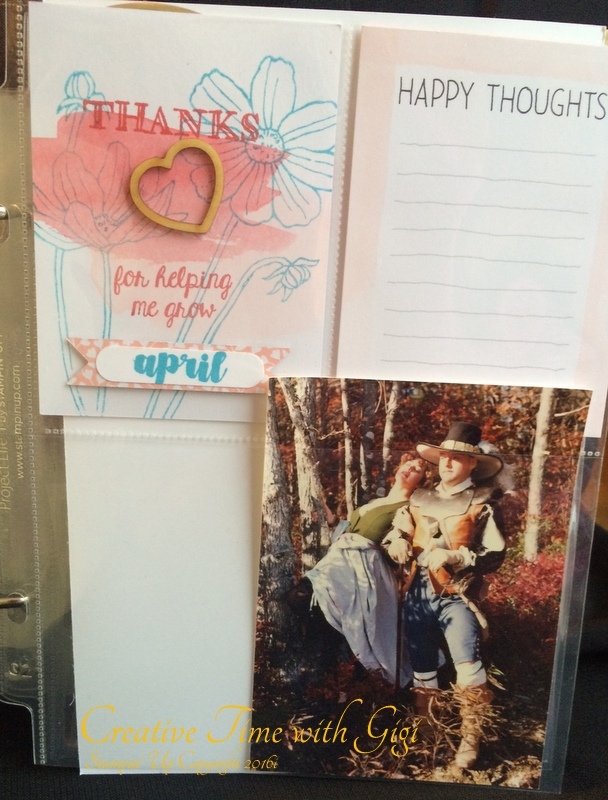 I’m learning to love project life stuff! 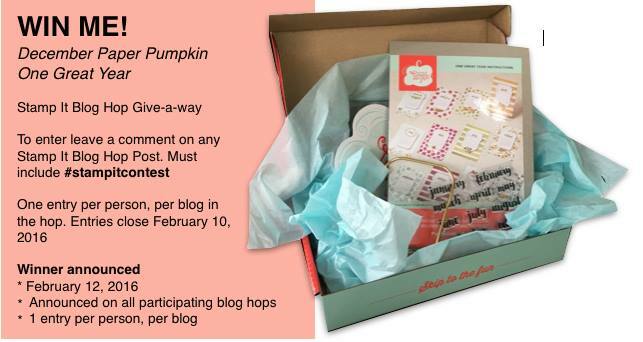 Thanks for the chance to win a paper pumpkin box. #stampitcontest- what a great idea! Hope I can discipline myself to do this! @stampitcontest: Wow! You have been busy. Love your cards. What a wonderful idea, a gift that lasts all year and then for a lifetime! Love the Paper Pumpkin kits. I love Paper Pumpkin. I hold a Paper Pumpkin Club night once a month. Every month is adorable! What a great idea.